GWB: Fourth of July on the South Lawn. This event will be full of family fun! Live entertainment, Food and beverage vendors, arts and crafts, kid’s activities, fun and games area and much more! Arts,Crafts and Activity Vendors – Face painting and glow in the dark accessories for sale to enhance that Fireworks experience! Hula Hoop Contests, games and prizes and fun for all ages. Festival Food Vendors – All American food and beverage fare as well as some unique culinary treats will be available for purchase. Including but not limited to, Ana’s Corn On the Cob, Spanky’s Hot Dogs, Donut Wheel with Shaved Ice and Miracle Snow, Dot’s Baking Pantry with Peach Cobbler and other fun baked goods, Brittany Crepes and Galette’s , Kettle Corn and more!!! ( Las Positas College has designated this a No Alcohol event so no alcoholic beverages will be sold or consumed on the Las Positas Campus). Live entertainment stage will host a day of top 40 fun as well as Patriotic Entertainment including the 191st Division Army Band, Patriotic Dance Routines with Livermore School of Dance and kicking off the fireworks will be the ABC Music Source Children’s choir leading us in a Patriotic Sing-A-Long and the National Anthem. 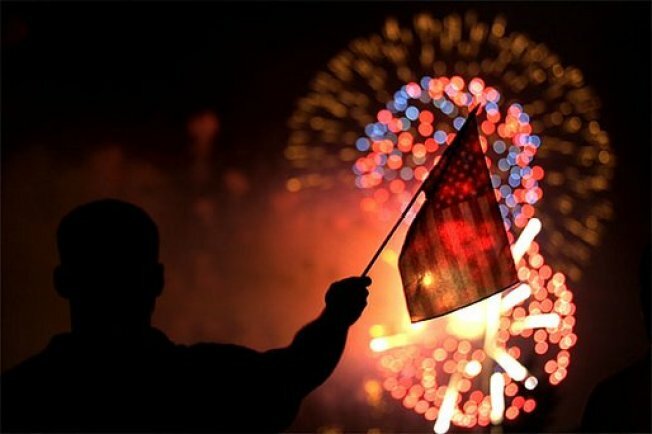 The 2013, Livermore 4th of July Family Fun and Fireworks Celebration will be taking place at Las Positas College, located at 3000 Campus Hill Drive in Livermore, California. Admission is $20 for vehicles or $5 per person walk in.